Someone added an entry to our correspondence page gently taking me to task for not updating my journal. (I am sure it was not repressed guilt that made that entry “accidentally” disappear.) But what with napping, eating, snacking and various and sundry other Corgi-like activities, that computer keyboard just seems so far away. However, if you have not taken a peek at the correspondence page lately (or ever), it is quite the treasure trove of wit, wisdom and Corgi chattiness. Please do stop by. 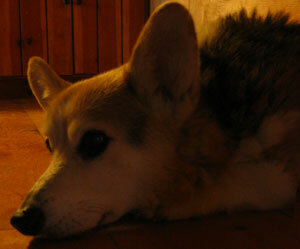 Seriously, I am always humbled by the sheer number of people and Corgis from around the world who have written to me.